We are looking for potential Ph.D. applicants with UGC-CSIR-JRF or DST-INSPIRE or GATE to work on high-energy experiment (ALICE/CBM) and QGP phenomenology. The Global Properties of Quark Gluon Plasma (QGP) created in the Big Bang Experiment. [ALICE Experiment at LHC, CERN, Switzerland]. Exploration of QCD Phase Diagram and search for the Critical Point. Matter formed at High Baryon Densities. [Compressed Baryonic Matter Experiment (CBM), GSI, Darmstadt, Germany]. 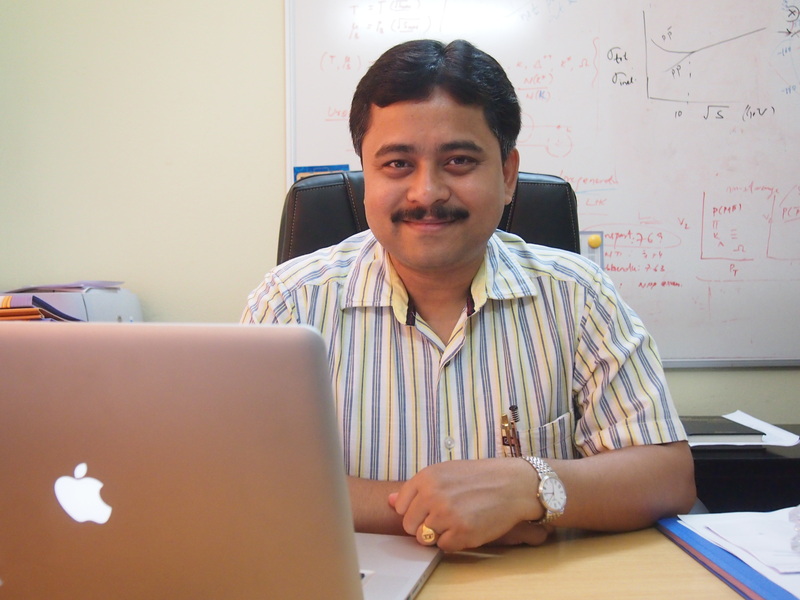 Associate Professor, IIT Indore (September 2013 - Present). Assistant Professor, IIT Indore (November 2010 - September 2013). Visiting Professor, Indian Institute of Management Indore (IIM Indore) (2014-15). INFN Fellow at INFN Padova, Italy (July 2009-November 2010) (ALICE @ CERN, Geneva ). CNRS Postdoctoral Fellow at Subatech, Nantes, France (Nov 2007 - June 2009) (STAR @ Brookhaven National Laboratory, USA). Visiting Scientist, Institute of Physics, Bhubaneswar (May-November 2007). Research Scientist, University of Cape Town, South Africa (May 2007). Ph.D. (Experimental High Energy Heavy Ion Collisions (Quark Gluon Plasma)) (STAR Experiment at RHIC, Brookhaven National Laboratory, USA) -Institute of Physics, Bhubaneswar, 2007. MSc (Physics)-Particle Physics Specialization, Utkal University, Bhubaneswar. Life Member, Indian Physics Association (Membership No. IND/LM/12729). Life Member, Indian Science Congress Association (Membership No. L 22300). Patron Member, Orissa Physical Society (Membership No: 205). Life Member, Odisha Bigyan Academy (Membership No: 632). Heavy Flavor Research Project, Utrecht University, The Netherlands. The Netherlands (2017), Switzerland (2003, 2008, 2009, 2010, 2012, 2013, 2015, 2016, 2017, 2018, 2019), Japan (2015), Poland (2015).